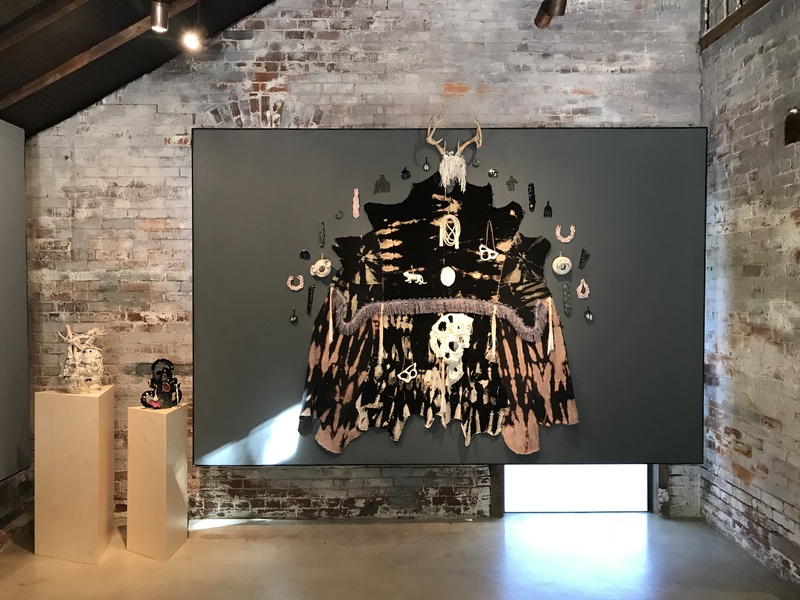 When Zipporah Camille Thompson last showed at Whitespace in 2016 with Dark of the Moon, her work evoked an air of mystery and the unknown. The use of soft textiles contrasting against black paint evoked a sense of darkness, as if mirroring the undiscovered, dark corners of the universe. With her new show, Black Cloud Prism at Whitespace through October 20, the darkness has started to dissipate. 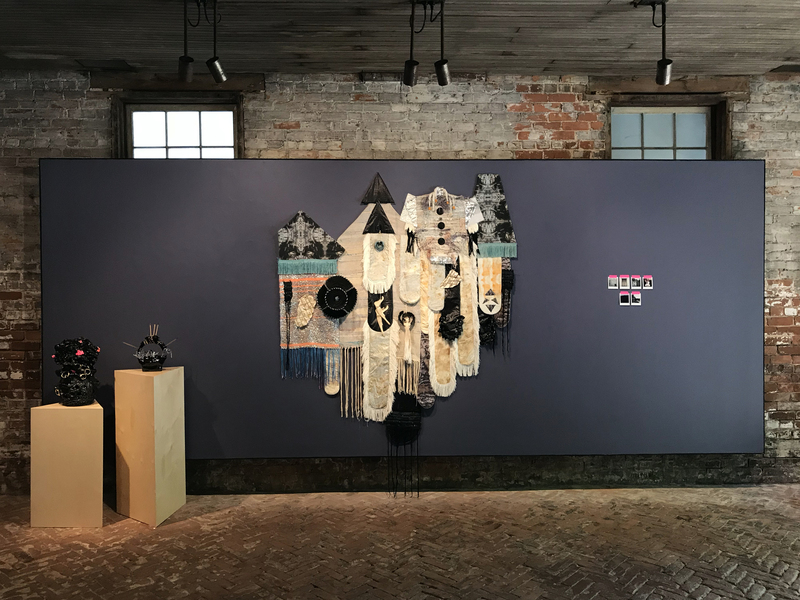 Thompson’s work seems to have undergone a metamorphosis as she merges her customary techniques into more cohesive pieces, balancing the former use of objects and textiles with new, lighter hues and photographs. This entry was posted in News on September 18, 2018 by gallerymanager.